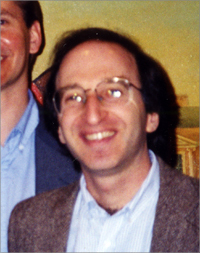 Saul Perlmutter is Senior Scientist and Group Leader at Lawrence Berkeley National Laboratory (1999-present). Other institutional affiliations include University of California, Berkeley. His research interests include astrophysics and cosmology. He won the 2011 Nobel Prize in Physics with Brian P. Schmidt and Adam G. Riess. 1981Obtained AB in Physics, Harvard University, Cambridge (Mass.). 1983 – 1988Research Assistant in Astrophysics (1983-1986) and Postdoctoral Researcher (1987-1988), Lawrence Berkeley National Laboratory, Berkeley (Calif.). 1986Obtained PhD in Physics, University of California, Berkeley, Berkeley (Calif.). 1987 – 1993Postdoctoral Research, Space Sciences Laboratory (1987-1988) and Staff Scientist, Center for Particle Astrophysics (1989-1993), University of California, Berkeley, Berkeley (Calif.). 1994 – presentStaff Scientist and Group Leader (1994-1999) and Senior Scientist and Group Leader (1999-2016), Lawrence Berkeley National Laboratory, Berkeley (Calif.). 2002 – 2016Senior Fellow, Space Sciences Laboratory (2002-present) and Professor of Physics (2004-present), University of California, Berkeley, Berkeley (Calif.). 2007Member, American Academy of Arts and Sciences. 2011Awarded Nobel Prize in Physics with Brian P. Schmidt and Adam G. Riess "for the discovery of the accelerating expansion of the universe through observations of distant supernovae". PhD advisor at University of California, Berkeley, "An Astronomic Search for a Stellar Companion to the Sun." Shared the 2011 Nobel Prize in Physics along with Brian Schmidt "for the discovery of the accelerating expansion of the Universe through observations of distant supernovae." Shared the 2011 Nobel Prize in Physics along with Adam Riess "for the discovery of the accelerating expansion of the Universe through observations of distant supernovae." Both employed at Lawrence Berkeley Laboratory, Lawrence Berkeley National Laboratory, and University of California, Berkeley. Both employed at Lawrence Berkeley Laboratory and Lawrence Berkeley National Laboratory. Research Assistant in Astrophysics; Postdoctoral Researcher; and Staff Scientist and Group Leader. Staff Scientist and Group Leader and Senior Scientist and Group Leader. Staff Scientist, Center for Particle Astrophysics. Obtained PhD (1986). Professor of Physics. Postdoctoral Researcher and Senior Fellow. Papers appearing in The Astronomical Journal and The Astrophysical Journal presenting research ultimately recognized by the awarding of the 2011 Nobel Prize in physics, 2011 December 1. Robert Kirshner materials on cosmic acceleration, 2007. American Institute of Physics Physics Today division Bertram Schwarzschild Nobel Prize files, 1954-2013. Oral history interview with Robert Cahn, 2007 August.